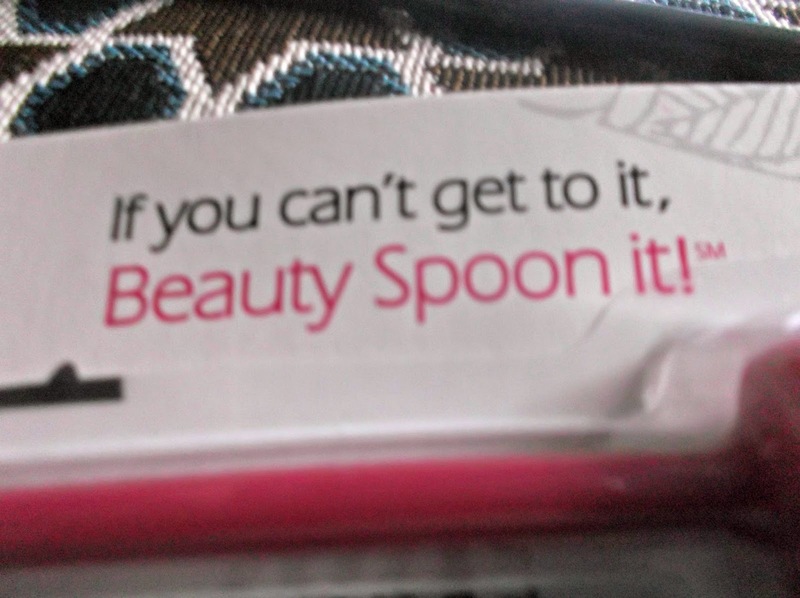 The logo "If you can't get it, Beauty Spoon it" caught my attention one day when I was suffering the internet for the latest beauty products. So I checked it out and found this amazing product! You are probably wondering what these beauty spoons are that I speak of? Well they are not like normal spoons you see. They help you get the last speck of lotion, creams, you name it out of the bottle! 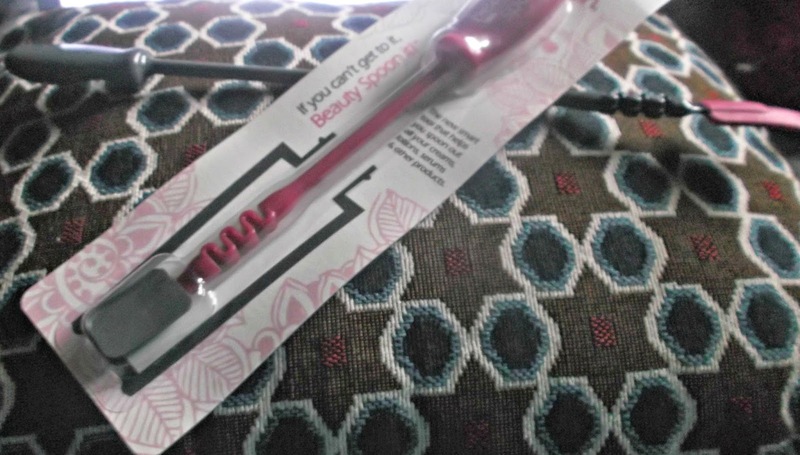 At first I was a little iffy but then when I got the beauty spoons and tried them out I was impressed with them but disappointed that I was tossing out so much money in these products that I buy all the time! 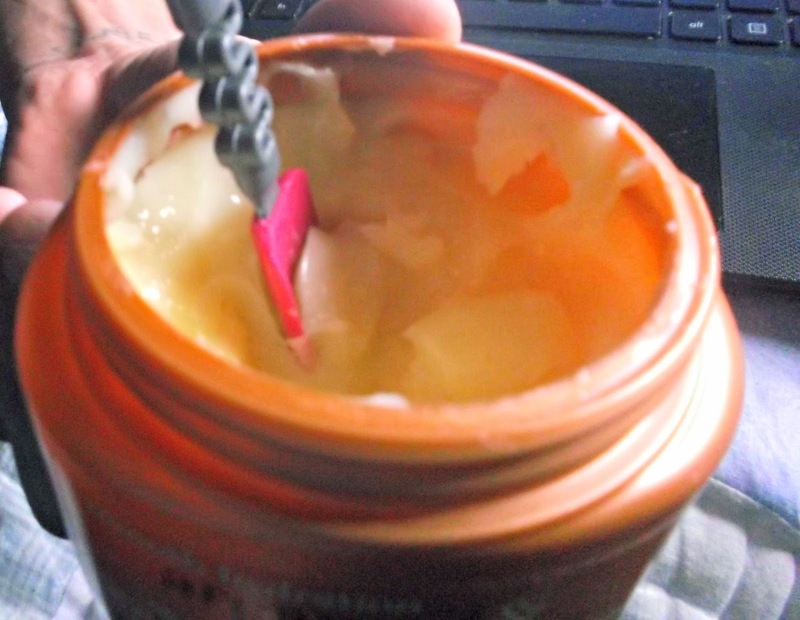 Here is how you can use the Beauty Spoon on a half jar of argan oil & shea butter. As you can see it is easy to just scoop right up! But have you eve noticed a ton of beauty products always get stuck on the sides and you can not get them? Well look at this! I scooped the side and this is all ONE scoop! I think that is pretty cool! You can pick up a Beauty Spoon here for $9.99 and that is a two pack! So they are affordable! Or you can check out one of the 2000 nationwide Walmarts that carry Beauty Spoon! And now you can win! My favorite beauty tool is of course tweezers!! What would I do without them? I'd keep this.